That’s right, folks. 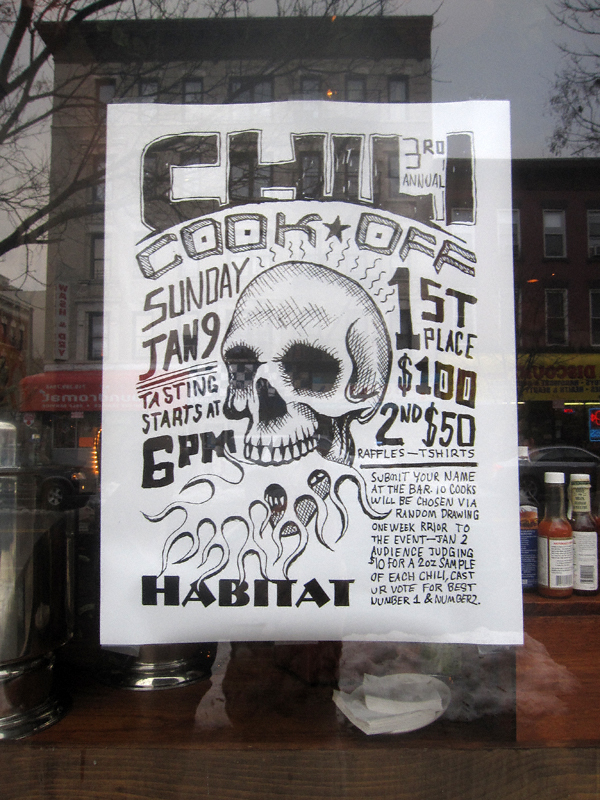 This upcoming Sunday the Habitat will be hosting its Third Annual Chili Cook Off! Given we are set to get yet more snow, the timing could not be more fortuitous. Check it out! January 9, 2011 starting at 6:00 p.m.
Ooh, I should go to this. It might clear up my sinus problems. It’ll clear up a lot more than that!